Today’s post was inspired by yesterday’s breaking news about a lake of salty, liquid water being found on Mars. This is exciting news for the scientific community and humanity in general. We may now be a little closer to discovering life on another planet. As a sci-fi writer, I can only hope this leads to that outcome and paves the way for humans to live there someday. Maybe we’ll even be lucky enough to both find life on another planet and figure out how humans could live there longterm, too. 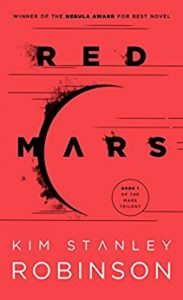 The first time I read the premise of this book, I wondered how the main character, Valentine Michael Smith, managed to survive on Mars for his entire childhood when there weren’t any adult humans around to take care of him. Where did he find air? What did he eat and drink? Where did he get his clothing? Who looked after him when he was sick or too little to take care of himself? How did he know how to speak English? Without giving away spoilers for these questions, I loved slowly figuring out what Valentine’s childhood had been like and why he was bewildered and even horrified by a long list of what I would think of as quite ordinary Earth customs. 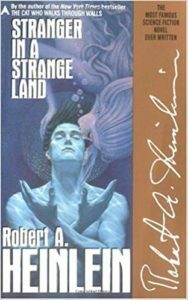 While there are topics that Heinlein and I strongly disagree on,* I will always appreciate the way this book explored what it meant to be human and how life on Mars could be radically different from anything people have experienced on Earth. *See also: the ways he treats and describes many of his female characters. I’ve since come to interpret The War of the Worlds as a reflection of humanity’s fears more than anything else. Just because we have a long history of harming those we can’t or won’t understand in no way means that sentient aliens would have the same reaction to us. Or at least I hope they wouldn’t…..
Let’s assume that there are no forms of life blissfully swimming their microscopic lives away in a salty Martian sea. A “dead” world might be the perfect setting for terraforming a planet to better suite the needs of humanity. One of the things I loved about this trilogy was how long it followed the same storyline. Generations passed as Mars was slowly transformed into an Earth-like planet. Nobody who was alive in the first scene knew how everything ended by the final scene of Blue Mars. Writing it this way gave the author many opportunities to explore what happens when the original intentions of a scientist or explorer are reinterpreted by new generations as fashions change and people’s ideas of how best to manage a resource as large as a planet shifted. I’ve often wished humans could live long enough to see how their ideas still influenced people several generations later. The world might be a better place if everyone took such a longterm approach to the things they advocated for (or against). Yes, I know I’ve blogged about this tale before. As much as I try to avoid talking about the same science fiction and fantasy books over and over again here, there are times when simply have to circle back and repeat myself. 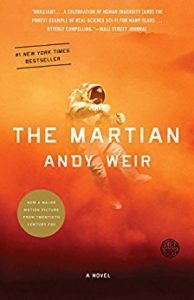 One of the things I loved the most about The Martian was how hard the author worked to make the events of the plot scientifically plausible. While there were a few discrepancies between it and how such a mission would really play out in real life, much of it was pretty close to what any astronaut would go through if he or she really were to be accidentally abandoned on Mars. I could see something close to these events happening if humans decided to try to live on Mars only to suffer massive setbacks early on. Hopefully, any future residents of the Red Planet would be just as resourceful as Mark was in this adventure. 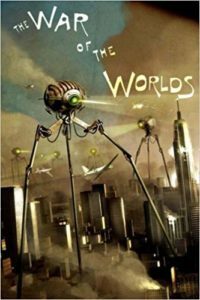 What are your favourite sci-fi stories about what it would be like to either live on Mars or discover that another species already lives there?